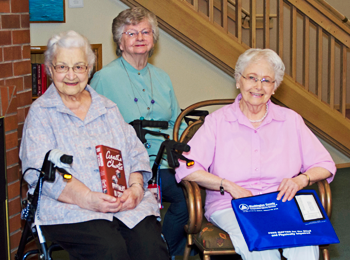 For homebound, elderly, and disabled people, a good book can be as important as a good friend. Washington County Cooperative Library Services (WCCLS) Homebound Service provides mail delivery of library materials and information free-of-charge to Washington County residents or caregivers of residents who are physically unable to visit their public library. Large print and standard print books, books on CD, books on Playaway, magazines, and videorecordings are mailed upon request. 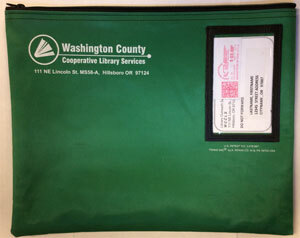 The Books-By-Mail service is paid for by Washington County Libraries and is free to Washington County residents. Materials arrive in nylon zippered-bags. You may contact your mail carrier for special instructions if you cannot get to your mailbox. Remove the mailing label from the plastic pocket on the nylon bag. Flip the label over to read Library Outreach Services and insert into the plastic pocket. Insert appropriate library materials and zip the bag. Place the bag in the appropriate place for your mail carrier. Can I save the library money if I have a friend or family member return the materials to a county library? We appreciate the thought, but this is not necessary and will not save cost. The mail service charges for sending and returning the package at the time of mailing. How do I request more materials? Give us a call at (503) 648-9785 to speak to a person or leave a voicemail message any time.